We are a company with a courier and C2C background. Over the past 15 years, we have gained extensive knowledge and built our company’s brand in Poland, Great Britain and Germany, gaining a large number of satisfied clients and reliable partners. Currently, we specialize in transport, with the target destinations being primarily Great Britain and Germany. We offer transport of partial loads with transhipment in ourmwarehouse. We also store and reload for other transport companies or manufacturers. Among our range of services, we also have B2C solutions, in which we operate online stores in terms of storing and confecting by preparing and shipping the sold goods. Over 15 years of experience is a guarantee of a good solution regardless of the situation. full flexibility of offered services. Optimized solutions supported by experience are the key to safe and timely transport. us strive for the highest quality of service. our clients and our own experiences. We offer part load shipment between Poland – United Kingdom – Poland, and Poland – Germany – Poland. As part of our transport services, we have weekly groupage lines operating for several years. Syców Warehouse -> England -> Syców Warehouse and Syców Warehouse -> Germany -> Syców Warehouse. Thanks to our successively and steadily expanding national transport department, we are able to serve clients from various locations in Poland, which is supported by numerous references from our clients. With our list of proven transport companies with whom we have been cooperating for years, we can undertake a great deal of different transport orders. We are partners with both English and Polish logistics companies, including Raben or Pallet Line plc. If necessary, we also deliver to private addresses. 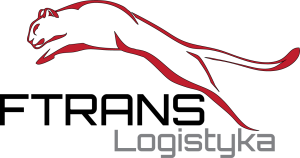 Thanks to a wide range of transhipment possibilities, we are able to provide attractive conditions, both in terms of time and price, even to locations in which we rarely offer our services. The new logistics warehouse for several thousand pallets allows us to reach the next step in warehousing and confection. 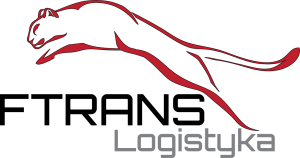 We offer B2B and B2C services, direct deliveries to individual clients from our warehouse and transhipment.